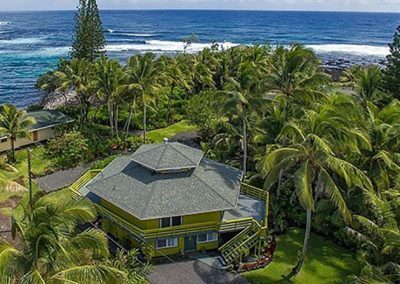 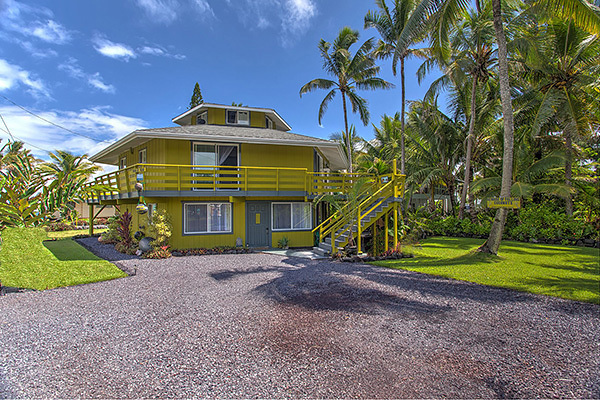 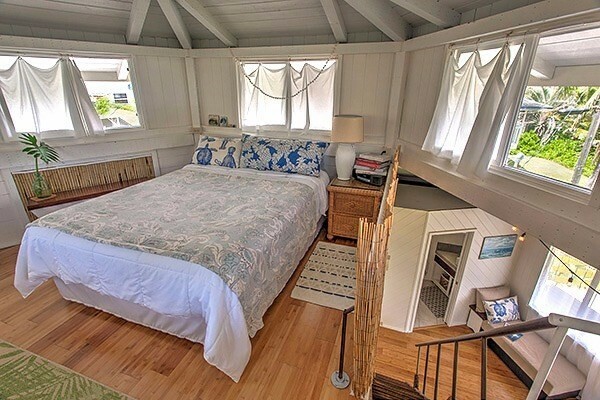 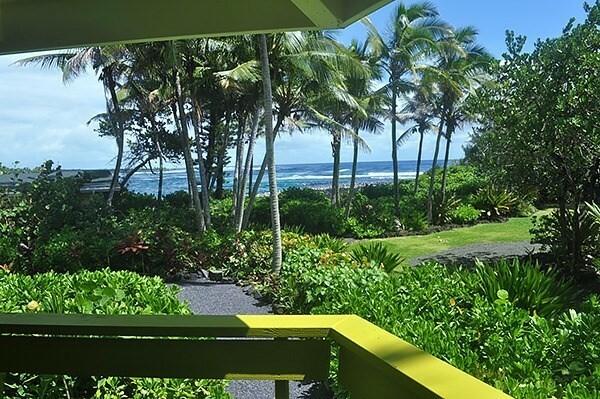 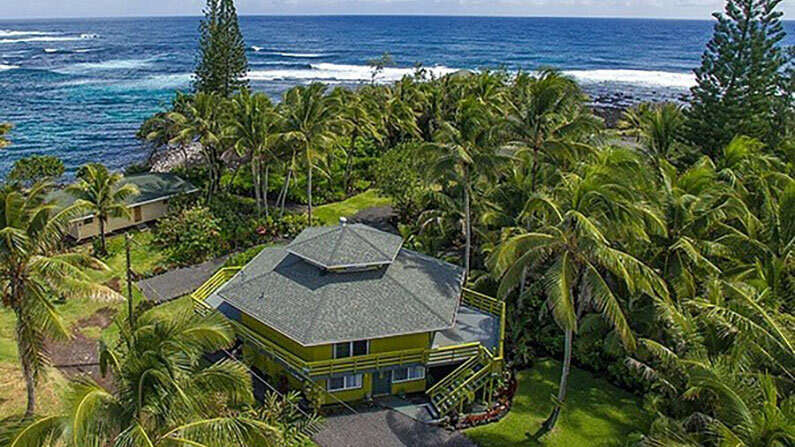 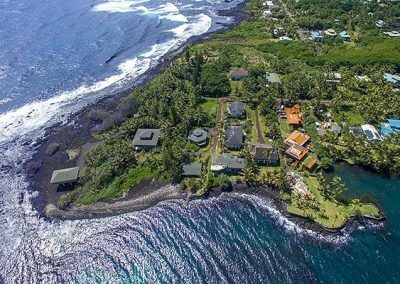 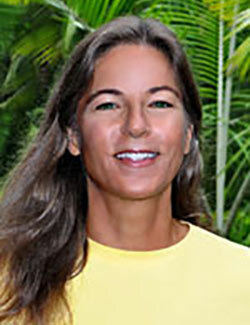 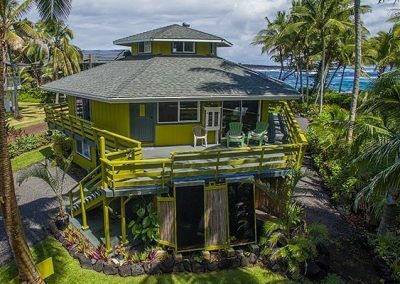 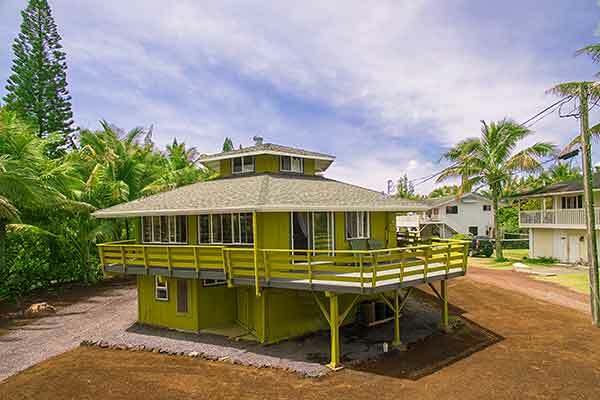 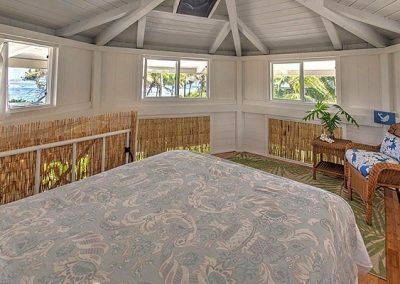 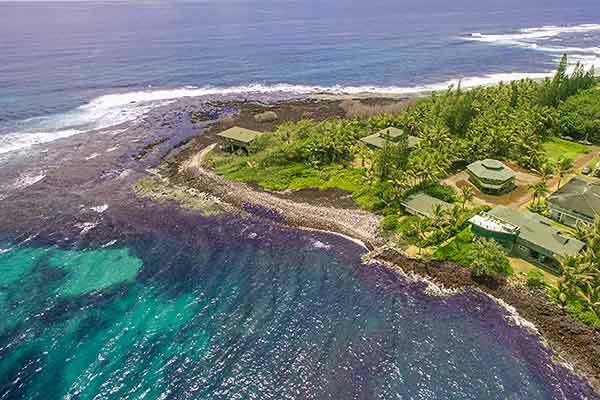 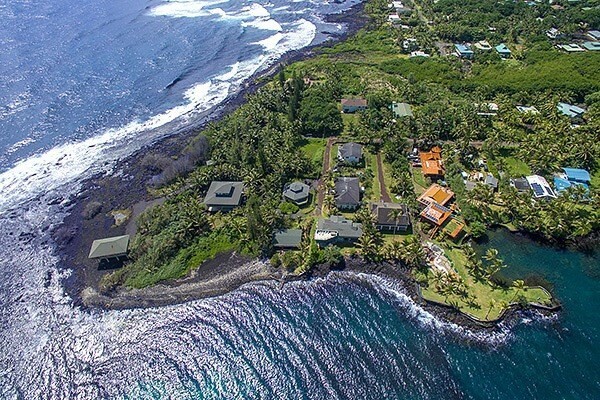 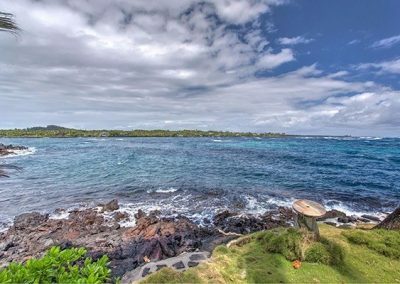 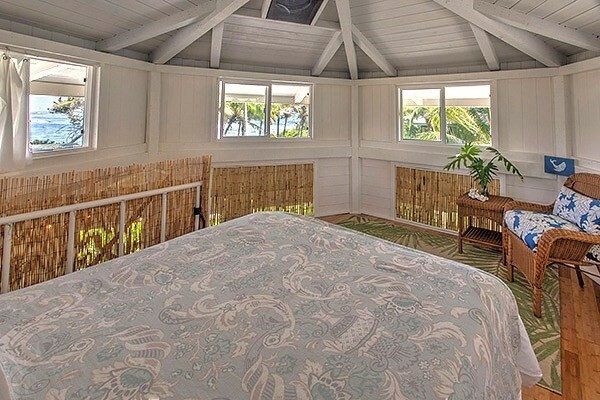 AMAZING OCEAN VIEWS from this classic Hawaiian home located in the gated coastal community of Kapoho Beach Lots. 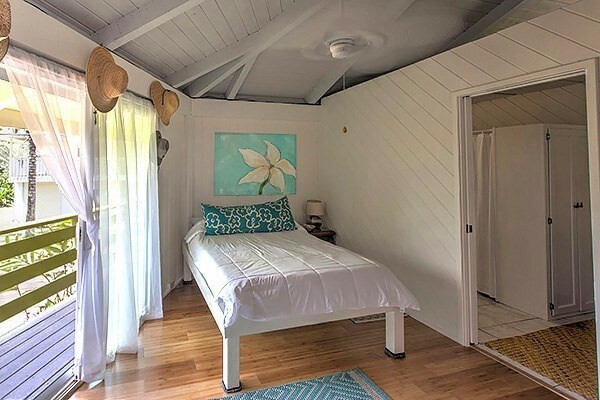 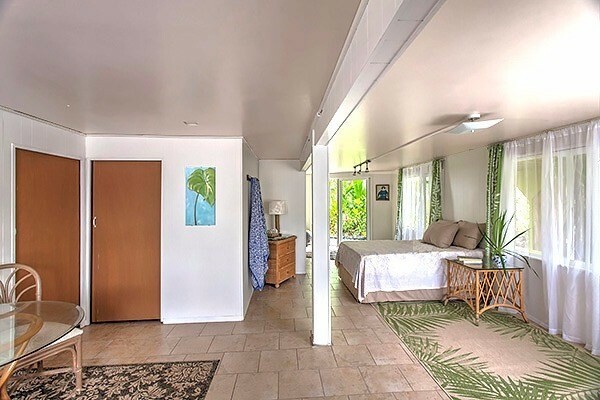 The minute you walk onto this impeccably maintained property you will be surrounded by its warmth and feel the peacefulness this incredible piece of paradise has to offer. 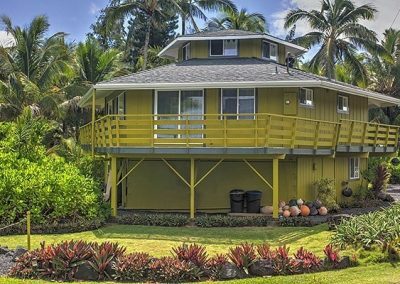 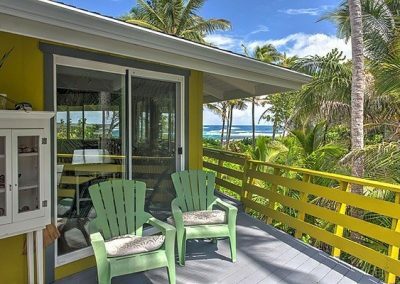 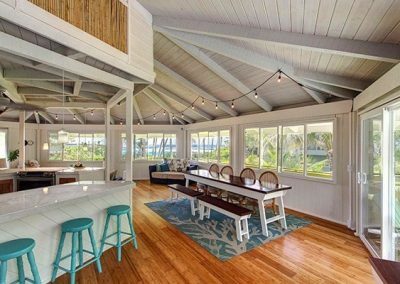 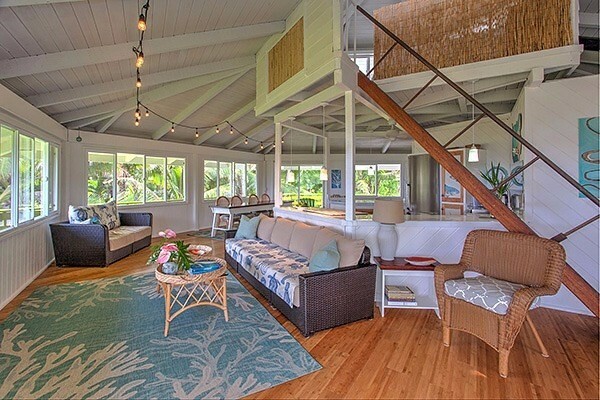 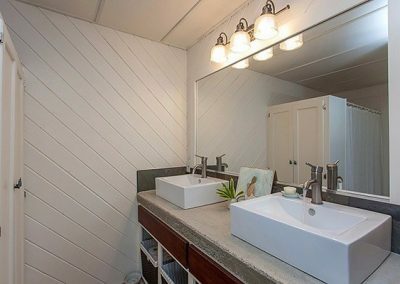 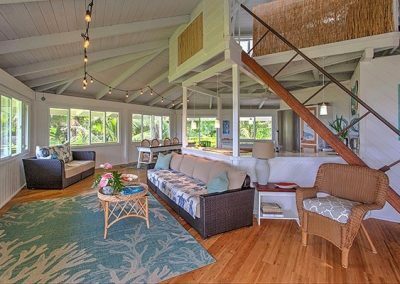 This two story completely refurbished hexagon home was built to take maximum advantage of the ocean views and trade wind breezes. 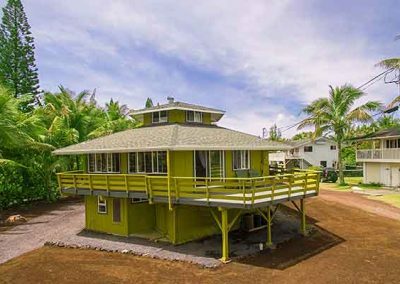 The 1,154 sqft main home is located on the second level and is completely surrounded by 778 sqft of wraparound lanai. 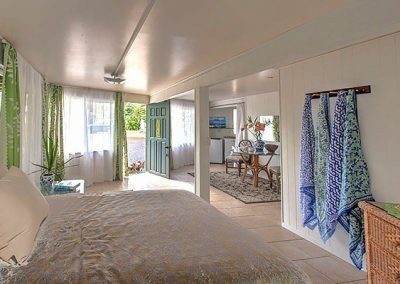 As you enter the home the first thing you will notice is the walls of windows all facing the ocean giving an amazing view. 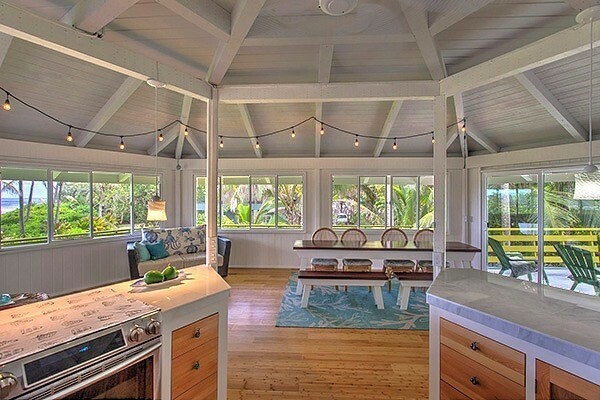 The open floor plan has the kitchen with its custom made cabinets and marble counter tops in the center of the home. 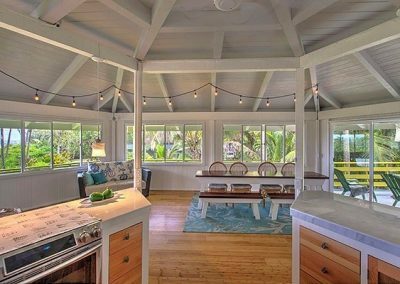 Beyond the kitchen is the large dining area which has direct access through sliding glass doors to one of the larger lanais. 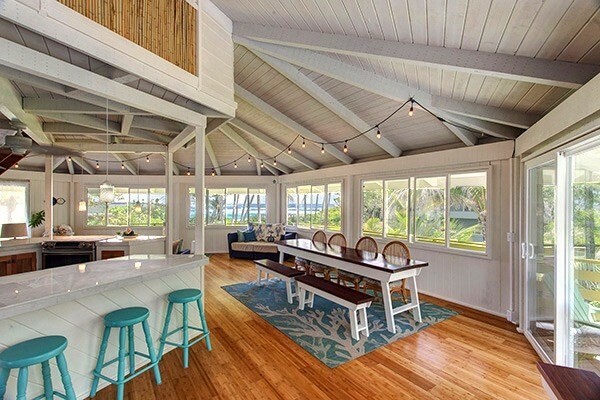 Beyond the Dining area is a cozy living area and guest bathroom. 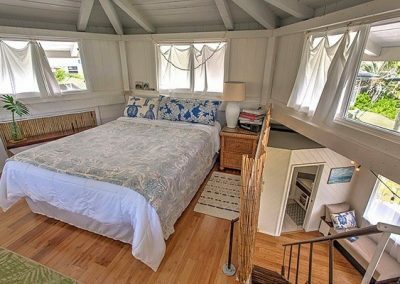 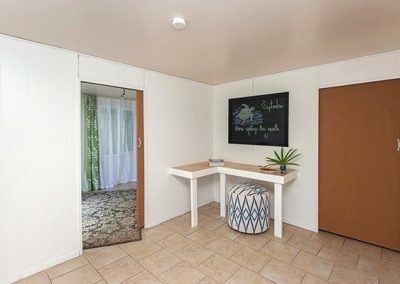 Up a flight of stars is a good sized loft, also with great views, currently used as a bedroom. 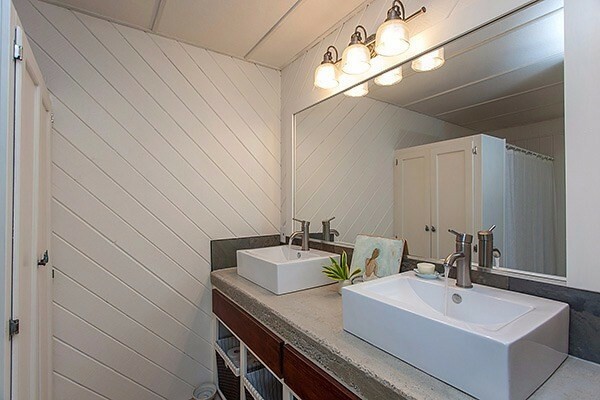 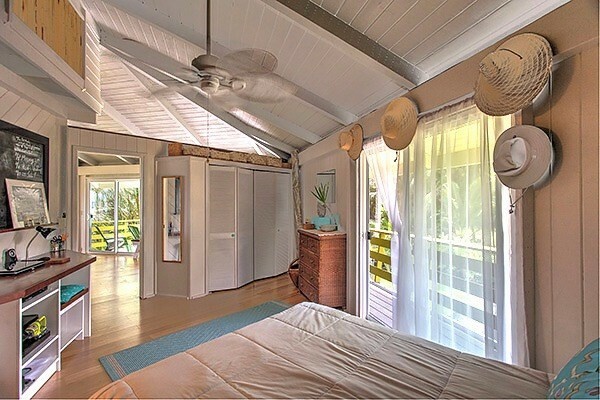 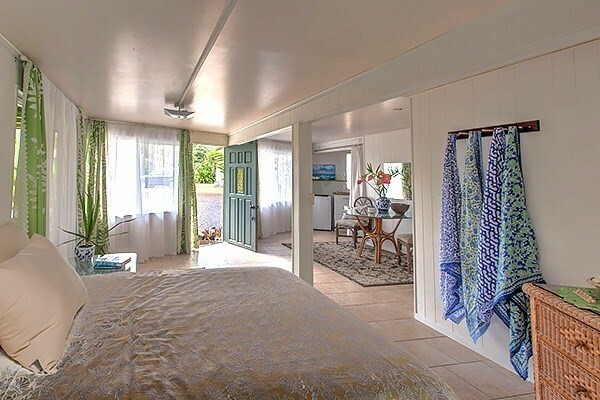 The master suite has a sliding glass door out to the lanai, custom built desk plus a large remodeled bathroom. 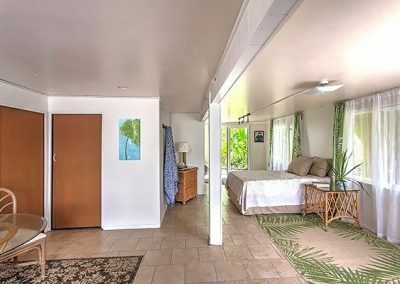 The separate guest area on the first floor is 1,020 sqft and complete with a living area, bathroom, office area and kitchenette. 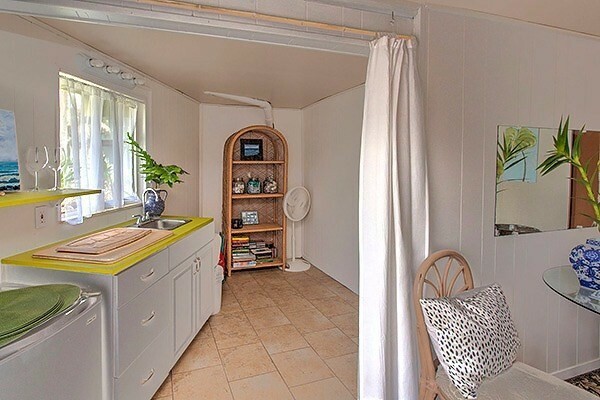 In addition, there is the large laundry room and storage area. 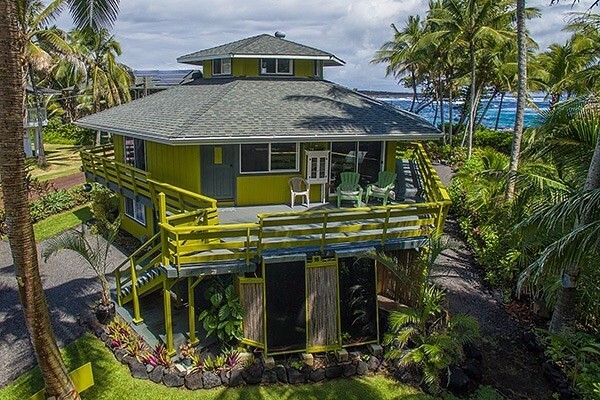 Would make a great rental! 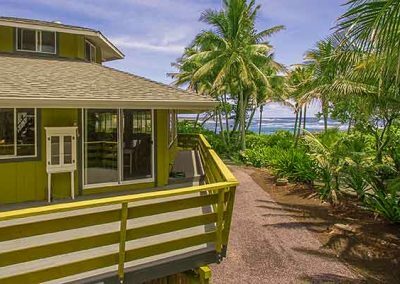 This property which is almost ocean front has a semi-private deeded beach access path which will get you to the bay in less than a minute from your front door. Here you can swim, snorkel, kayak, surf or fish to your heart’s content. 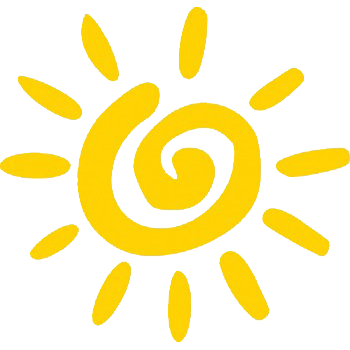 Enjoy the almost daily sightings of sea turtles, the famous hot ponds in the community and the “cleanest air in the world”. 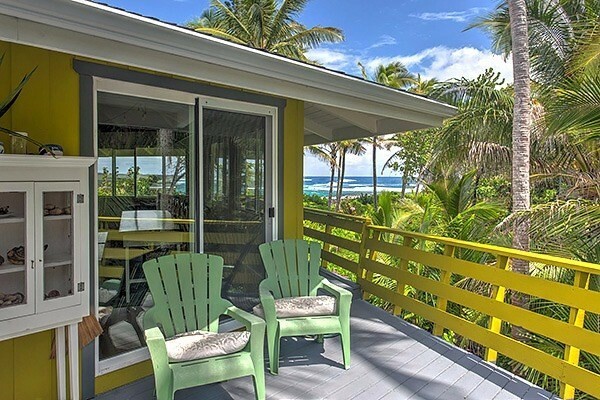 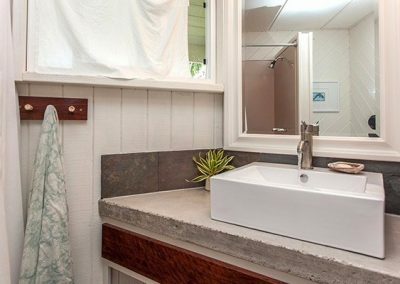 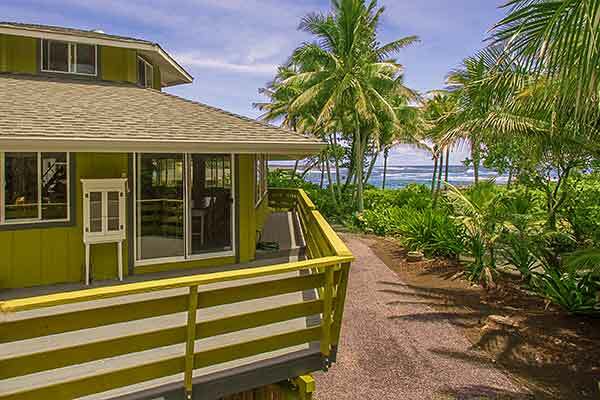 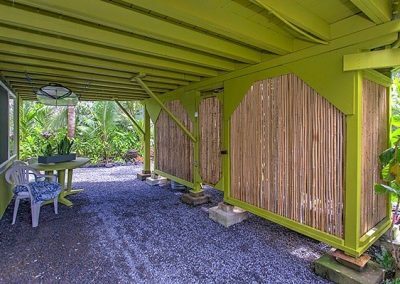 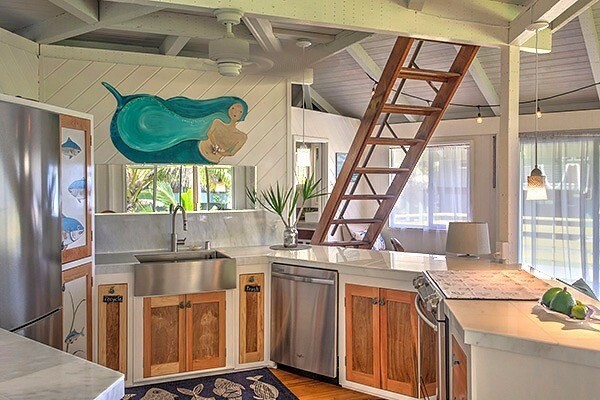 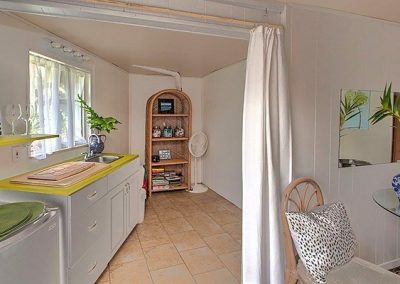 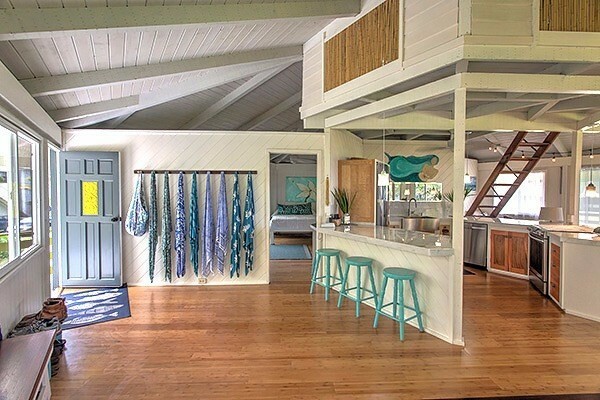 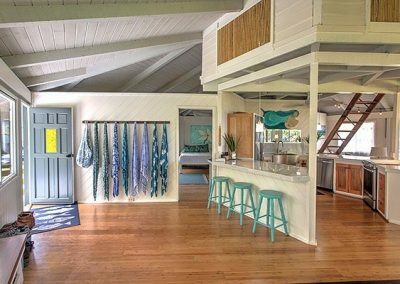 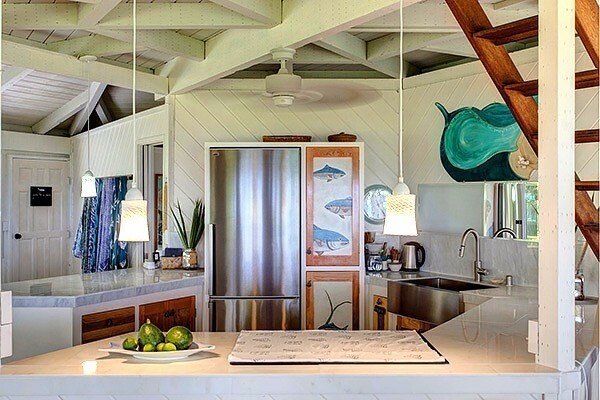 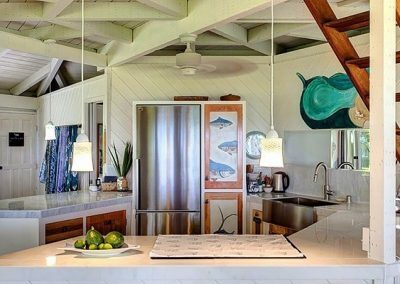 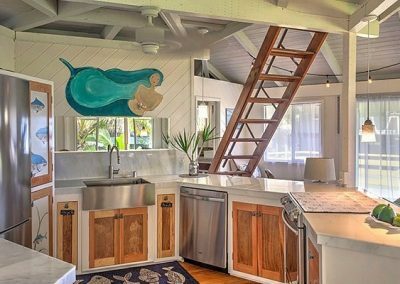 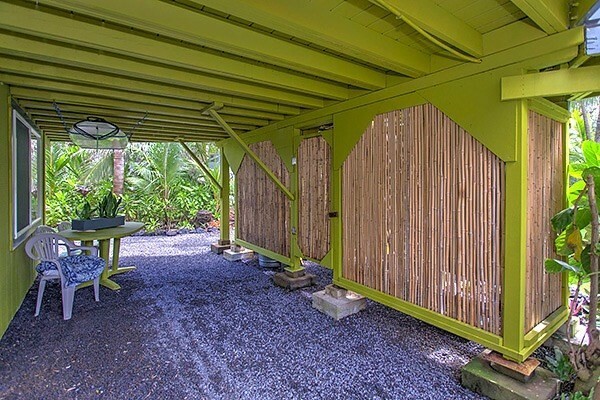 This super fun beach house with its solar outdoor shower and beautiful tropical landscaping would make a great private residence or fantastic rental. 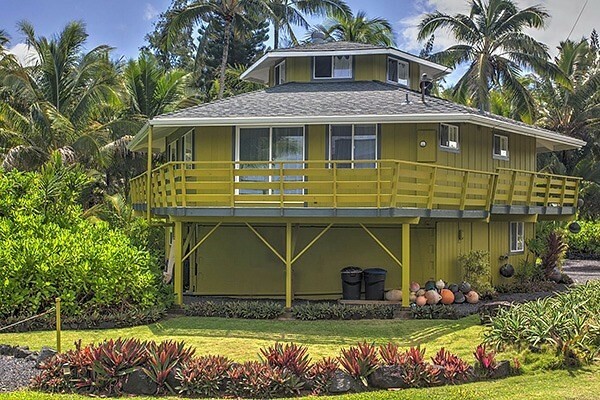 Homes can be sold turn-key. 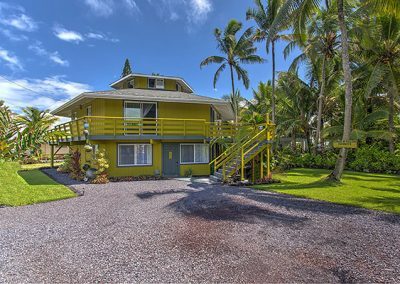 Exceptional property you won’t want to miss!